Canada’s overwhelmed railroads are making news again; a BC Think Tank looks for new opportunities in the Cariboo; kids in the Peace Region learn about science and forestry; Pennsylvanian students hear about how forestry is cool; and Asia Pulp and Paper gets rare accolades for its forest conservation policies. Finally, the rise of mass timber buildings is being celebrated in Toronto and Sydney Australia. In the northern hemisphere, most of us will recognize the trees with papery bark. Due to their abundance, birch trees have been used to make tar and tea, add flavor to food, and decorate churches. Today, many musicians only accept speaker cabinets made from birch plywood. 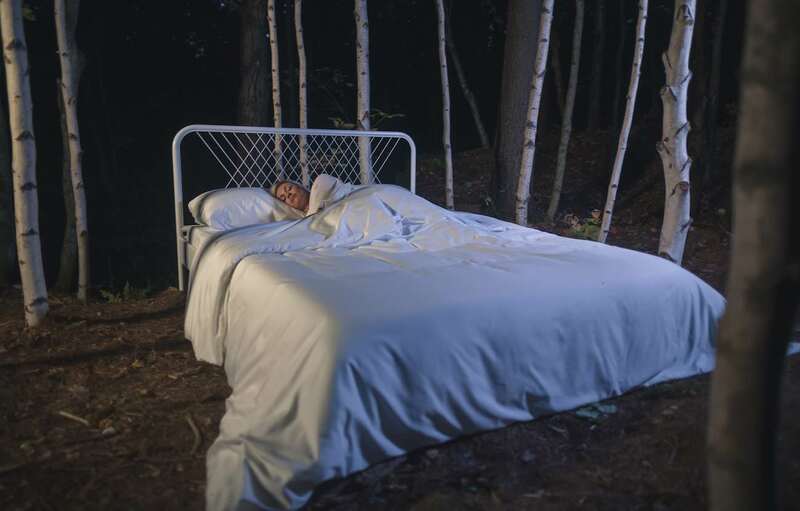 So, it should be no surprise to find birch in bedding. That said, you wouldn’t know that ORLY sheets were made from wood. The birch fibers are intertwined with super-soft Supima cotton and antibacterial silver nano-beads. You also get a touch of tea tree oil, which offers a range of skin benefits. …Each ORLY sheet is composed of around 70% birch. The remaining 30% is Supima cotton. WINNIPEG—Every day for more than six months, Jessica Raycraft has confronted hulking mounds of evidence of the great Canadian bottleneck. …That pretty much sums up the problem with Canada. Its railroads are overwhelmed, threatening the country’s standing as a major exporter of commodities and slamming businesses… that have precious few transportation alternatives. 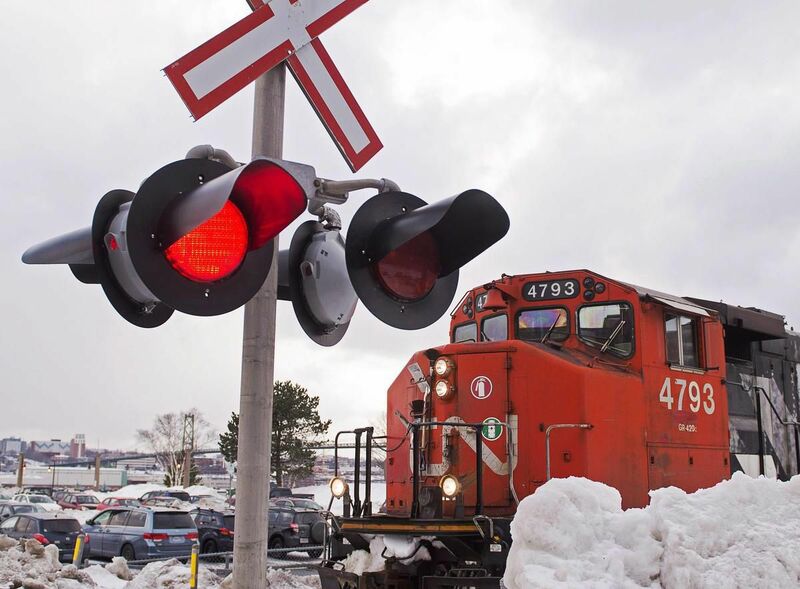 …While freight-train congestion isn’t unique to Canada, it’s particularly acute there. The struggle to get products to market has turned off investors, and is turning into a political headache for Prime Minister Justin Trudeau. …The rap on Canadian National and its smaller rival, Canadian Pacific Railway Ltd., is that they failed to make enough capital investments. Government policies take hits too. …Canfor Corp. CEO Don Kayne estimated the rail logjam cost $20 million in profits in the first quarter. SCOTLAND — Energy minister Claire Perry has acknowledged that biomass subsidies which may be pushing up the value of waste wood to the detriment of board makers are “concerning”. Ms Perry, who has responsibility for energy and subsidies within the Department for Business (BEIS), was responding last week to a question by Scottish MP Stephen Kerr who has one of the Norbord company’s wood panel plants in his consituency. …Stephen Kerr told the minister: “The subsidy available to energy plant for burning wood is causing distortions in demand for virgin and recycled wood, which is constricting supply and increasing input costs for businesses such as Norbord in Cowie. Canada’s University of Toronto aims to build a 14-storey academic tower made of timber, which it says would be the tallest “mass timber” and concrete hybrid building in North America. The exact height has not been released, however, as the building is still in the design phase, and the university is waiting for the city of Toronto to change zoning rules to allow such tall wooden buildings. …It will be financed in part by government grants intended to promote mass timber buildings in support of Canada’s timber industry. The term “mass timber” has emerged in recent years to describe the use of solid or engineered timber components that bear loads in place of steel or concrete. The tower was originally slated to be built using steel, but government incentives prompted the switch to timber. …Ontario has also established a Mass Timber Institute (MTI) to study the benefits of wood construction. It has been just over 5 years since the first mass timber CLT building was completed in Australia, Forte Living by Lendlease; a 10 storey (9 on 1) apartment building in Melbourne. For a while it was the world’s tallest modern timber building. Since then there has been around 30 other mass timber buildings constructed or under construction in Australia; many of these are houses or extensions to existing buildings but surprisingly there has been some tall buildings amongst them which is exciting for the timber industry. …To understand why, there is an opportunity to see and hear for yourself what is happening in mass and off-site timber construction in Australia. Last year’s wildfire season impacted the Interior’s lumber industry. Gorman Bros. Lumber Ltd. operation supervisor Shawn Clerke, who has been working in the industry for over 25 years, said he is hoping this year won’t be as bad as last year. “It was fairly detrimental to certainly our harvesting operations and the mill itself, we had to shut down for over two months last year,” he said. Clerke added it’s hard to tell what is to come and you can’t predict the weather. “It was by far the worst fire season we ever had, so we are hopefully you can’t have two seasons in a row,” he said. A 400-hectare wildfire that ripped through the mountainside in Joe Rich, off of Highway 33 and Philpott Forest Service Road, left behind a graveyard of burnt trees. Clerke and his crew from Gorman Bros. will spend the next six weeks salvaging the trees for lumber. A logging operation in Wynndel that is clearly visible from Northwest Boulevard in Creston has some area residents fearful for their water supply and public safety. With roads cut into the mountainside and an apparently unpermitted access to Highway 3A northwest of Wynndel, the Jemi Fibre Corp. logging operations appear to be nearing completion. “Several months ago a well-respected resident alerted me to the sale of 450 acres in the valley above Wynndel that transferred ownership to Jemi Fiber,” a Wynndel resident told the Advance last week. “A forester told this resident that Jemi Fibre has a reputation for not using sound logging practices and doesn’t replant. Presently, there are no rules to enforce him to do so. There was a significant gathering of people in bike helmets on the lawn of City Hall before Monday’s meeting of city council. They were in attendance because council was receiving a report from staff surrounding concerns about proposed logging in the core area of the Snowden Demonstration Forest, a popular area for mountain biking that some say has the ability to be a huge economic driver for the community. Unless, they say, it’s all been logged. Garry Ullstrom is at the centre of the opposition to the proposed logging around the trails, and he says the community is speaking up before it’s too late to save what he sees as an under-appreciated regional gem. Fuel mitigation plans are underway in the 100 Mile House District woodlot and community forest. Approval letters from the Forest Enhancement Society of B.C. have been received for funding to initiate fire mitigation action planning in Woodlot #577 and 100 Mile Community Forest and the District and the 100 Mile Development Corporation are awaiting the Recipient Agreement to be signed prior to commencing work, according to a release. On the ground treatments are anticipated to start as early as late June. The desired outcome is to create fuel breaks to give better fire mitigation and increased fire protection for 100 Mile House, the forest and woodlot itself as well as cell tower infrastructure. ALBERTA — More than 1,000 Grade 6 students from across the Peace are trekking through the Wapiti Nordic trails to learn about trees, animals and sustainability. The annual event, Walk Through the Forest, is a partnership between the Alberta Science Network and a number of industries and organizations. …“Our whole motto is to get kids excited about science, so it fits well that we’re outside walking through the forest,” said Amanda Frayn, program co-ordinator with Alberta Science Network. “It allows the forestry companies to provide information on what they’re doing and why it’s sustainable.” …Keegan Richardson, field operations assistant with Canfor, told the students about what the company does to manage animal habitat within its Forest Management Agreement area. The lumber industry has long been a big part of the state’s economy and continues to bring jobs to people willing to work. At the annual Keystone Wood Products Association dinner, industry officials talked about some of the opportunities available and how education is being done to help sustain forestry in the state. Matt McGovern, KWPA educational specialist, spends much of his time spreading the word to youths about careers in forestry. …Chuck Coup, program manager with the Pennsylvania Sustainable Forestry Initiative, noted his organization offers some 30 training programs centered around the industry. …Williamsport/Lycoming Chamber of Commerce Vice President Jason Fink said area high school students were introduced to the industry through the “What’s So Cool About Manufacturing?” program. ESCANABA — Forest landowners in the Upper Peninsula are encouraged to attend one of two identical meetings meant to inform them of opportunities they may be able to take advantage of over the next five years. DCD Executive Director Rory Mattson said the opportunities discussed at these meetings will be available to landowners throughout the U.P. …According to Mattson, there are two forest certification programs active in the state. The DCD has been able to help local landowners get certified through the Sustainable Forestry Initiative. However, the state of Michigan was essentially the only U.P. landowner that was Forest Stewardship Council (FSC)-certified — until now. …Making it easier for U.P. landowners to become FSC-certified could eventually have an even larger economic impact on the area, Mattson said. Since 1990, Indonesia has lost half of its rainforests. …To make matters worse, the easiest and cheapest method of forest clearance is the infamous practice called “slash and burn,” which is commonly used to clear forest so that palm oil, food, paper and other valuable commodities can be produced on the land….It’s no secret that Asia Pulp and Paper (APP), one of the two global pulp and paper producers in Indonesia, used to be part of the problem. …In 2013, the company established its Forest Conservation Policy, which had some environmental groups celebrating as it vowed to protect natural forest, implement best practice peatland management, resolve social conflict and ensure sustainable sourcing throughout the supply chain. With 17 fire bans already declared across Alberta, a provincial forestry official said wildfire conditions are considerably worse than last year. Despite…record snowfalls in some parts of the province, numerous areas [in] Alberta have prohibited open fires… That’s in contrast to May 2017, when conditions quickly greened up to reduce the fire threat, said Travis Fairweather, wildfire information officer for Alberta Agriculture and Forestry. “It’s a lot drier this year, there’s a lot more fire bans and restrictions,” he said. “If it continues, it’s definitely a sign it could be a long summer for fires and, for now, we are seeing the dangers rising and we do expect more advisories.” Dr. Michael Flannigan, a forest researcher at the University of Alberta, agreed. 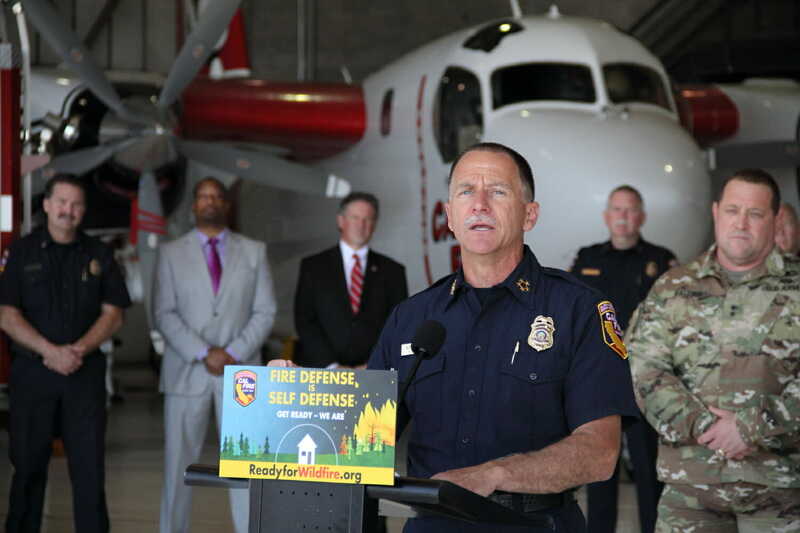 “The next three or four weeks will really determine what the rest of our fire season is like,” he said. Due to the massive increase in wildfire activity during 2017, homeowners are being urged to take advantage of the free FireSmart fire protection assessment being offered in the area. The Nakusp and Area Community Forest and the Regional District of Central Kootenay are working with non-profit association FireSmart Canada to mitigate property loss in vulnerable rural areas. The assessment specialists will provide customized tips and strategies to reduce the risk of wildfire damage to homes and outbuildings during the 2018 fire season. In rural areas where private property, crown land and forestry operations border each other, fire has become a monstrous threat that shows no signs of lessening. Wildfire experts in Boise say the upcoming summer wildfire season could be significant in the Gem State. But that’s to be expected, given a suite of environmental and climactic factors. 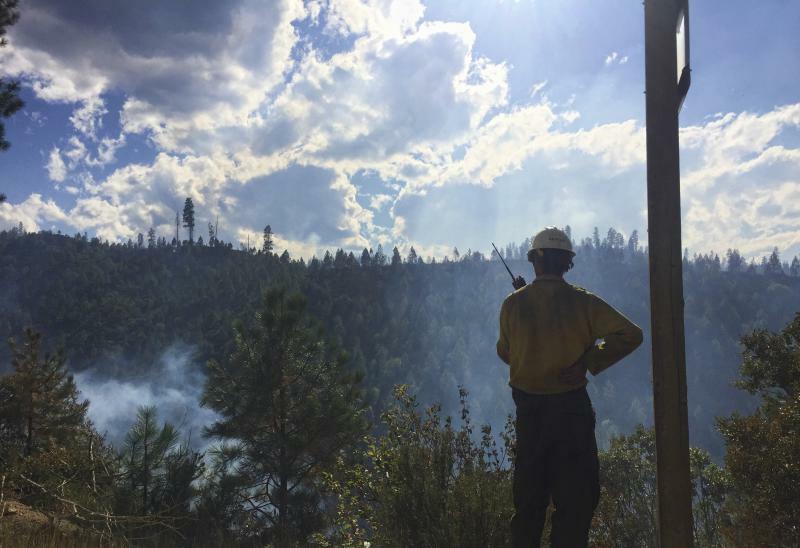 “It’s going to be a significant fire season in the West; it almost always is,” says Jeremy Sullens with the National Interagency Fire Center. “The snowpack and the fine fuel crop are really going to help amplify that this year.” Sullens says there’s an above normal chance for significant wildfire in July and August – and says southern Idaho is particularly susceptible because of additional rangeland grass and forest undergrowth that’s been building over the last few years. That means wildland firefighters will likely be dousing blazes in both the Great Basin and some Gem State forests simultaneously. The impacts of climate change are already being felt by the forest industry as winters become shorter and the operable time for winter blocks is reduced. For harvest operations, excessive rutting poses the greatest risk, and frequently forces operations to move to another block or shut down altogether. Members of FPInnovations’ Fibre Supply group have been working to develop short-term operational solutions using existing machine fleets as a way of allowing companies to continue to operate under wet conditions without needing to make large investments in specialized equipment that would otherwise be necessary. Solutions include a modified 3-in-1 bunching pattern that concentrates skidder or forwarder traffic to fewer trails, as well as rut rehabilitation techniques using an excavator.